"Real life is not like the stories our father told us. You are a fool for believing it so!" Enemy (the Shimada Clan): Ever since Hanzo left the clan, after killing his brother, the rest of the organization tried to eliminate him time and again. Guilt (Genji): Hanzo haven't forgiven himself for 'killing' his little brother. 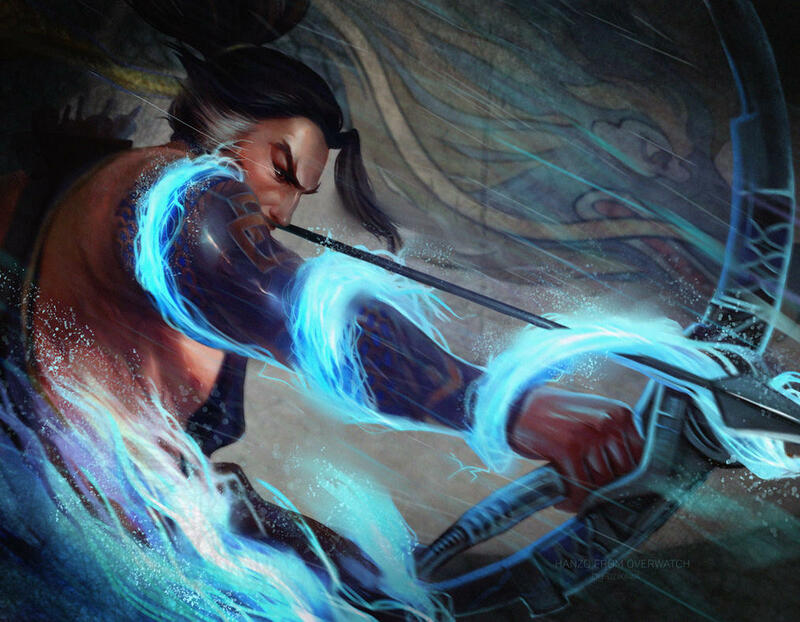 Obsession (honor & redeptiom): Hanzo believes that his action tainted his honor and can't forgive himself. The older of the Shimada brothers, Hanzo was educated and groomed to lead the clan. In truth, he resented his younger brother Genji, who had the chance of living a comfortable life without getting involved in the family business of assasination. After the untimely death of their father, the clan's elders ordered Hanzo to involve Genji. While he was a natural killer, Genji dind't like it and this lead to a conforntation culminating in Hanzo doing what he was trained to do: he killed his brother for the good of the clan. This one murder tore Hanzo apart. He felt that either way he failed his family. He rejected his legacy and, ultimately, left the clan. The elders branded him as a traitor, sending assassin afte assassin with no success. For ten years Hanzo eluded them, returning to Shimada Estate (the clan's ancestral home) once a year to pray over the tomb of his brother. On the tenth anniversary Genji, now a cyborg, confronted him. While Genji forgave him, Hanzo has yet to forgive himself. Hanzo is really satisfying build. He's really effective and packs some nasty tricks in hsi arsenal (scatter arrows are brutal in confined spaces). The one interesting bit is the Sonic Arrow, the design is partially mutuated by Kreuzritter's on the RA forum, but I make a couple of changes. I moved it outside of the array because otherwise Hanzo won't be able to attack while using it. 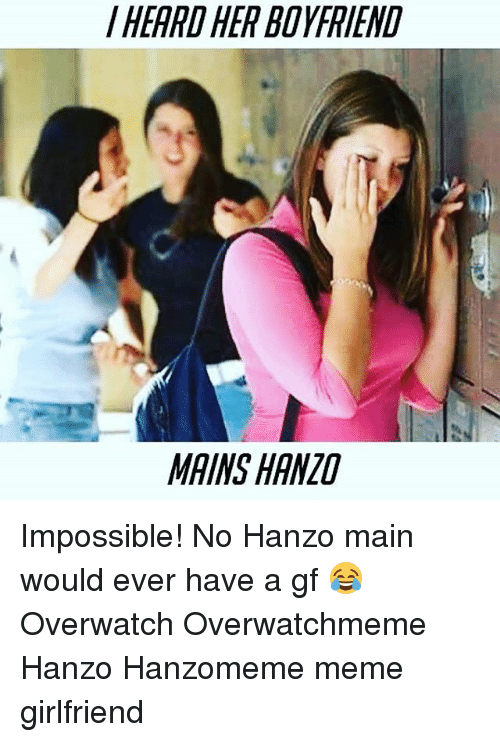 Hanzo has become (thanks to the power of memes) somewhat of a joke among the players. I've only used him a couple of times, but I noticed that he has a steep learning curve. Being a scopeless sniper with a projectile travel time, he requires both skill and map awareness to work. Personality wise Hanzo is not one of my favorites -- the honorable assassin is a very abused trope -- but at least his story arc is still open (opposed to his brother). Last edited by Woodclaw on Sat Apr 14, 2018 9:45 pm, edited 4 times in total. Interesting mechanic for the Sonic Arrow- I went with a kind of "Affects Others Vision Penetrates Concealment" thing, but ESP works too, I think. Enemy (the Shimada Clan): Ever since Hanzo left the clan, after killing his brother the rest of the organization went down hard on him. I wrote that at 2.00 a.m. so sorry, but I missed that one. "My heart beats for Brazil. I get inspired by the people here. Their struggles. Their triumphs. I want to share that energy — the energy of their lives — with the rest of the world." Enemy (Vishkar Corporation): After the riots in Rio de Janeiro the Vishkar Corporation wants Lúcio's head on a plater. Fame: Lúcio is a world famous activist, musician and DJ. Motivation (help the downtrodden): Lúcio grew up in the favelas of Rio and really want to help the locals on their own terms. Lúcio was born and grew up in one of the poorest favelas of Rio de Janeiro. While the neighbourhood has been notorious even since the 20th century, the Omnic Crisis hit them hard, with thousands cast into poverty overflowing them. As the country started to get back on its feet, young Lúcio wished nothing more than to find a way to help those around him and music was the asnwer. He started performing in local event and underground parties that became the stuff of legends. The wake up call arrived when the Vishkar Corporation won the tender to redevelop the favelas. Vishkar imposed curfews, policed the neighbourhood with extreme prejudice. exploiting the local as cheap labour force and even used the area as a testing ground for their new sound technology aimed to make people more docile and complaint. Lúcio was pissed to say the least. He broke in the Vishkar labs, stole a prototype of their sound generator and organized an uprising overnight. In the aftermath the Vishkar Corporation was pushed out of the favelas and Lúcio became an international superstar, giving him countless opportunities. In game terms Lúcio is weird. He's supposed to be a healer, but he's actually more of a flanker/leader combo. He's probably the most agile non-flyer in the game and can push his team even more. Aside from that there's not much more. Lúcio and Symmetra are probably the character I have played the least, so it's highly possible that I missed something. BTW, I decided to make Lúcio an environmental specialist to underline his generally narrow focus. Since Lúcio's gun is based on sound equipment I decided to remove the usual Lethal/Full Power combo. 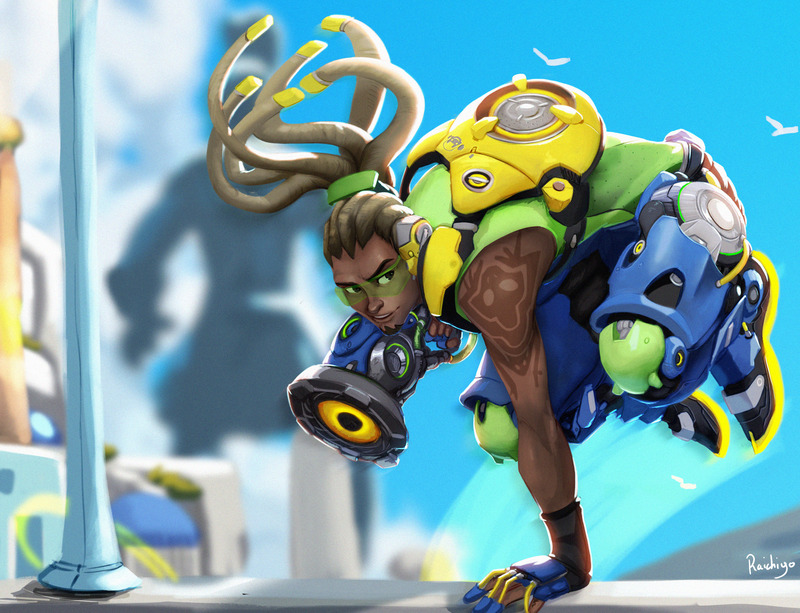 To be honest Lúcio has a good backstory, but I don't see much potential for growth. Like Orisa, he's a local hero, but this already limiting factor is compounded by the fact that his focus seem so narrow: on the surface all he cares about is his neighbourhood ... which is usually what locks an hero into being strictly street-level (except the m**********g Batman). It's easy to imagine that, with fame and fortune coming his way, Lúcio is about to go big and change the world, but we'll have just to wait and see. "Wer are making the world a better place"
Disability (on the spectrum): Satya is a functioning adult, but she is clearly on the autistic spectrum, this makes her incredibly proficient at manipulating hard-light, but causes her both difficulties in social interactions and occasional sensory overloads. Obsession (order): Satya belive that an orderly environment is paramount to make people happy, even at the cost of individual freedom. Responsibility (to the Vishkar Corporation): Satya is a high-ranking operative of Vishkar, which grants her many privileges and many drawbacks. Secret (personal agenda): Satya has a personal agenda that doesn't align perfectly with that of her employers. In the aftermath of the Omnic Crisis the traditional housing problems in India grew worse and worse. The homeless became millions leading to a potential catastrophe. Enter the Vishkar Corporation, a technology firm based in New Dehli and their revolutionary (many said radical) hard-light technology. This revolutionary system used a energy constructs and teleported materials to create buildings and complex devices hundreds of times faster than usual. This technology required extremely skilled operator and the Vishkar agents were constantly scouting for new recruits. 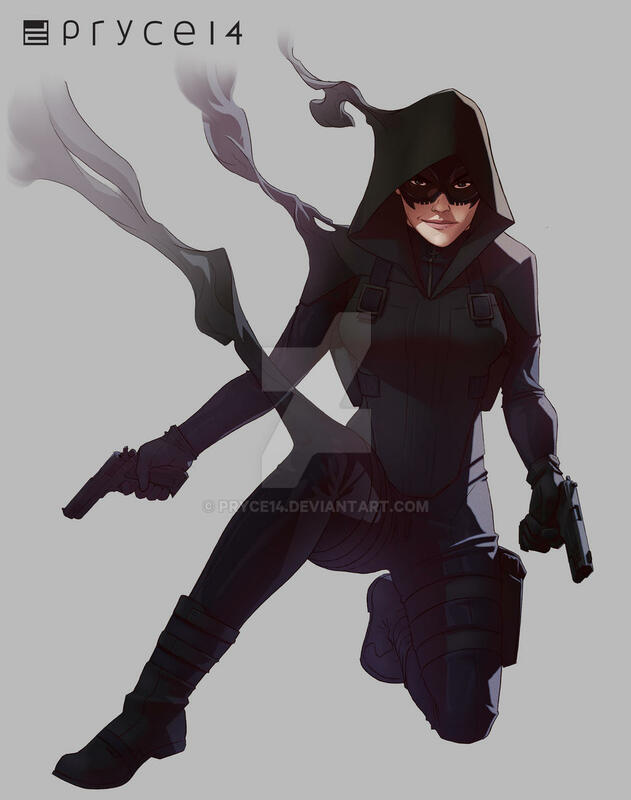 Satya Vaswani was one of them, born and raised in the slums of Hyderbad, she showed an unmatched potential in using the hard-light, up to the point that her superiors decided that she was wasted as a simple architect made her into one of the corporation's top spies. 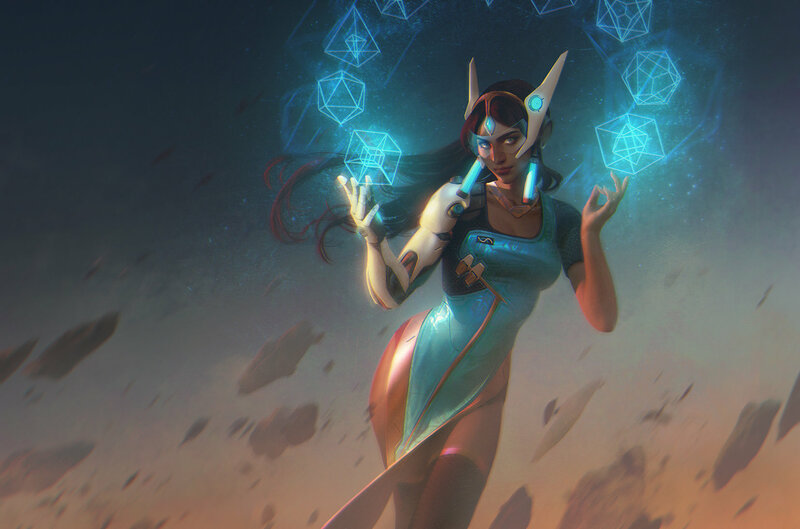 Satya believes that humanity needs order and stability first and was devoted to her mission to provide such an environment with the help of Vishkar Corporation, but the events of Rio seem to have shaken her faith. After Vishkar lost the initial competition, she was sent to steal the LumerCo (the direct competitor) project. This turned out to be just an elaborate distraction to set off a series of incediary bombs in the favelas to make LumerCo project unfeasable. The scale of the carnage shock even the otherwise unflappable Satya, who seem to have developed an agenda of her own. In game terms Symmetra presents many anomalies compared to my other builds. First, I decided not to give her the customary Luck ranks to highlight her "order above all" personality, she don't rely on HP to get around. Second, the basic of her entire character is that she's supposed to be a sort of "mini-Green Lantern", but all her constructs are independent of her, so I added a highly flexible summon power that allows her to create a single high powered device (usually a teleporter). Symmetra is a though character to play and to understand. In actual fact I believe she's a true testament to the ability of the development team, she's really morally ambigous without a clear allegiance and her motivations are so unique and different that almost nobody gets them easily. Personally I don't like her, but I like what they did with her. Symmetra's a real pain to stat out. Especially because I don't play the game. I used a Summon, too, but in a different way- for Turrets or something. "We fought a war to protect our home. We got the apocalypse. And everyone's left fighting over the ashes." Enemy (the Junkers): After wrecking a sector of Junkertown the Queen of the Junkers labelled Roadhog and Junkrat "Persona non grata". Nihilist: Mako just don't give a damn about anything anymore, he just hopes to see the world burn. Responsibility (the Idiot): Mako feel a strange kinship toward his unhinged partner in crime. Wanted: Roadhog and Junkrat are wanted in multiple countries. There is precious little information about Mako Rutledge, the man that eventually became the monster known as Roadhog. Some details (starting with his name) hints that he's not from Australia, but rather from New Zealand and of Maori descendant. After the end ont he Omnic Crisis the Australian Goverment negotiated a separate peace and handed over the local Omnium to the Omnics. It's unclear if this move was sincere or if the goverment intended to create a sort of "robot ghetto" in the Outback. Whatever the case this decision evicted thousands of residents (especially survivalists and solar farmers), who decided to retaliate forming the Australian Liberation Front. Their clashes with the Omnics escalated quickly until they sabotaged the Omnium's reactor core, nuking the Outback in the process. Like many others, Mako watched his home burn and was forever changed. While other tried to rebuild, gathering into a vast city of scrap they named Junkertown, Mako just wandered the Outback with his rusty chopper. Little by little, he lost his humanity and became the monster he's today. While there was no love lost between the Queen of the the Junkers and Mako, he was allowed to visit Junkertown for supplies, provided he was unarmed. During one of this visits he run into another Junker, an unhinged psycho called Junkrat. The two eventually pissed the Queen off (after stealing her money, blowing her summer shack and other accidents) and were forced to leave Junkertown for good. This was the start of an internationl crime-spree that took the two half-way around the world in an attempt to gather enough money to buy their way back into Junkertown ... and blow it to kingdom come. Mako is a monster and I'm not even sure the system can do him justice. He's monstruosly strong (being almost on-par with Zarya) and even tougher (+7 Toughness naked!!!). Aside from that there's little else to add. He's big, he hit like a beast and nobody want to piss him off. 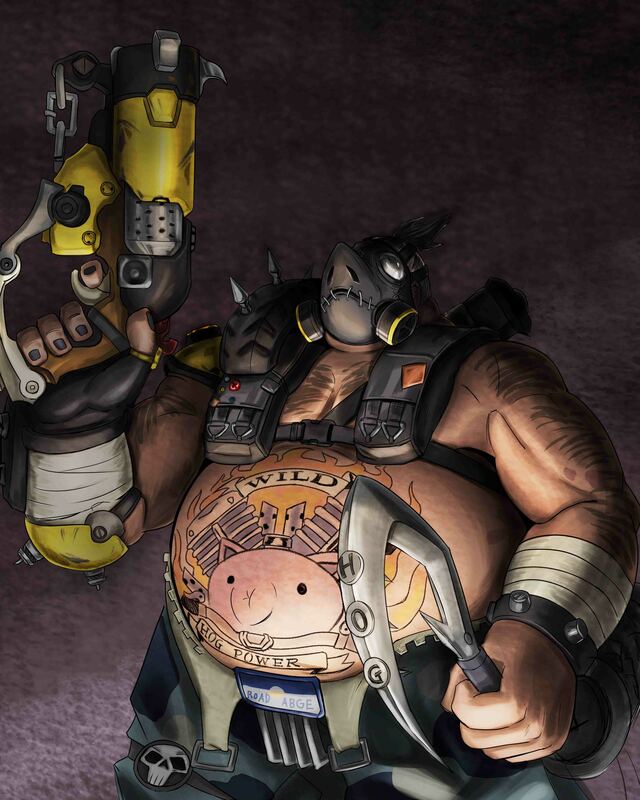 Roadhog is a funny, albeit terribly cliché design. I like him, but I would so much like that the design team didn't went down the Mad Max road with Australia. I love those movies, but it has been done to death. It's wrong that I don't care about any Overwatch character who isn't a lady, right? I feel like that should be wrong. But I totally discount almost every male design in the game- Junrkat & Roadhog feel like cliched Mooks (like you said, Mako is a dime a dozen), Genji is just a recolor of Grey Fox from Metal Gear, Soldier 76 could NOT be more boring to look at, etc. Add to that Lucio's giant silly pants and I'm only interested in the ladies. Also, Roadhog's a nuisance for me because it's hard to justify his insane Toughness score for a guy without armor- I have to break one of my cardinal rules for people like him- just assuming a "normal guy" is in fact enhanced beyond human limits. Based on some details and conjectures, I think that both Roadhog and Junkrat were mutated by the destruction of the Omnium. They're both freakshisly tall (Junkrat is actually taller than Zarya and Reinhardt, but her runs around hunched) and apparently inured to pain and some forms of damage. From what little we saw of her so far even the Queen of the Junkers isn't fully human, she was a pit fighter who swung around a massive chainsaw halbeard. I dunno, I find Ana rather grizzled and gaunt, while Moira just looks horrific- I find their designs interesting... but not so much good, in the latter case. Keep in mind that Ana and Moira were later introduction to the cast. "Yeah yeah, 'quiet.' You called the right people, mate." Hatred (the Suits): Jamison doesn't trust anyone that is on a corporation payroll, the higher they are the worst they are. Motormouth: Jamison never, ever shut up. Unhinged: Jamison is close to the Joker's level of insanity. If little is known about Mako Rutledge, the informations about his partner in crime Jamison Fawkes are even more scarce. Apparently a member of the Australian Liberation Front, some credit him for personally blowing up the Outback Omnium, but many others point out that at the time Fawkes was probably barely a teenager. Whatever the truth, Jamison suffered mutations same as any other member of the Junkers, but in his case the biggest change was mental. He became completely unhinged, more unstable than a barrel of nitroglicerin and his natural aptitude toward explosives became a true mania. Some time after, Jamison (now going by Junkrat) discovered ... something in the runis of the Omnium, unfortunately he never stopped blabering about it and this put him on the radar of Queen of the Junkers. During the umpteenth shakedown attempt Junkrat involved Mako Rutledge and the rest is history. Junkrat is the kind of character I hate to stat-out: he's pretty much a walking chace of explosives. Don't get me wrong as a build he's absolutely fine, in fact he's quite possibly the most efficient character I've created so far, but he's really not that funny to play in my book. Well, this brings me to the (temporary) end of my Overwatch set. To be honest it was a bit of chore, but I really wanted to see if I still had the spark in me to build such a number of characters all at once. Right now I'm probably going to do something in the vein of original characters or maybe ... just to get a change of pace. I'm not 100% satisfied with this first test of my 2.5 skill system and I'm probably going to either tweak it or just go 3e in that regard. Back in 2009, our friend Scots Dragon (Narsil back then) created a pretty good set of "elemental controllers" builds, which was one of my favorites from the ATT. With his permission, I decided to revamp that concept and -- eventually -- use it as a test bench for some new ideas. "I'm what goes bump into the night." Motivation (truth): Nightfall resigned from the police after one too many of her cases were swept under the carpet. Reputation (violent): A street-level character with no direct offensive power, Nightfall must often rely on lethal force. Rivalry (police): A former officer turned private investigator, Nightfall sometimes clashes with her old colleagues. Nightfall is, of course, only suited for a very basic street-level game. As she is she won't last a minute in a normal superhero battle, but on the streets she's like a shark in a very crowded pool. I know that the result is pretty much LoSH Shadow Lass without the skimpy costume, but I love how it works. Only ranged weapons can take this option, the laser sight provides +2 at attack rolls with this weapon or, at the GM's call, an equal bonus to Intimidation checks. A weapon with this option was designed and built for a specific user, taking into account his/hers vitals, hand shape and so on. It provied a +1 at attack rolls with this weapon, but only for the designated user, everyone else doesn't benefit from it. Last edited by Woodclaw on Tue Apr 17, 2018 11:09 am, edited 2 times in total.